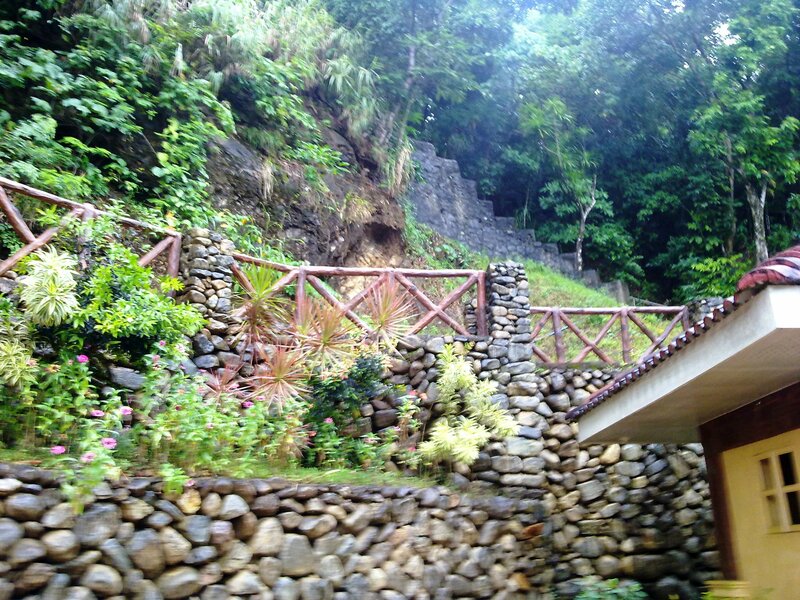 we had to wait for the rain to stop before we head on to our next destination – the Ermita Hill. 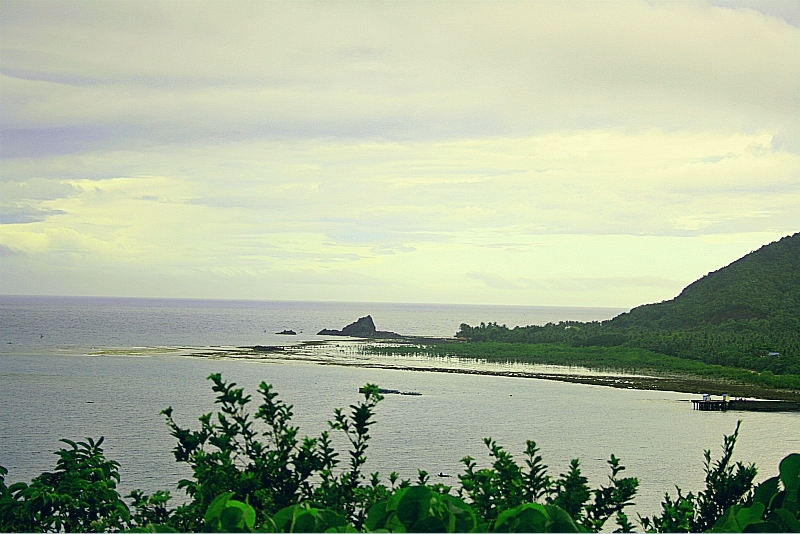 when we arrived i immediately looked for the much talked about memorial of the Baler Tsunami Survivors in 1735. 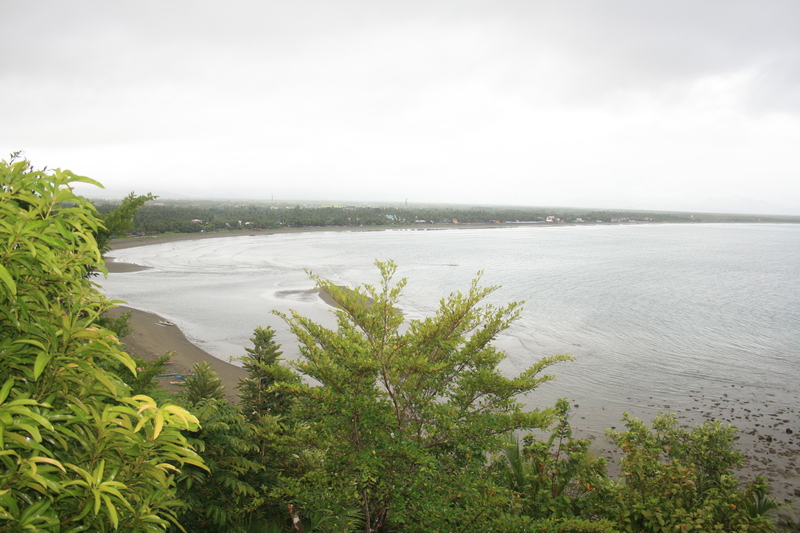 The famous political clan of the Angaras were actually one of the very few families who survived the tsunami as they fled towards Ermita hill for safety. The Japan earthquake and tsunami had just recently occurred so the visit in this place was very timely. 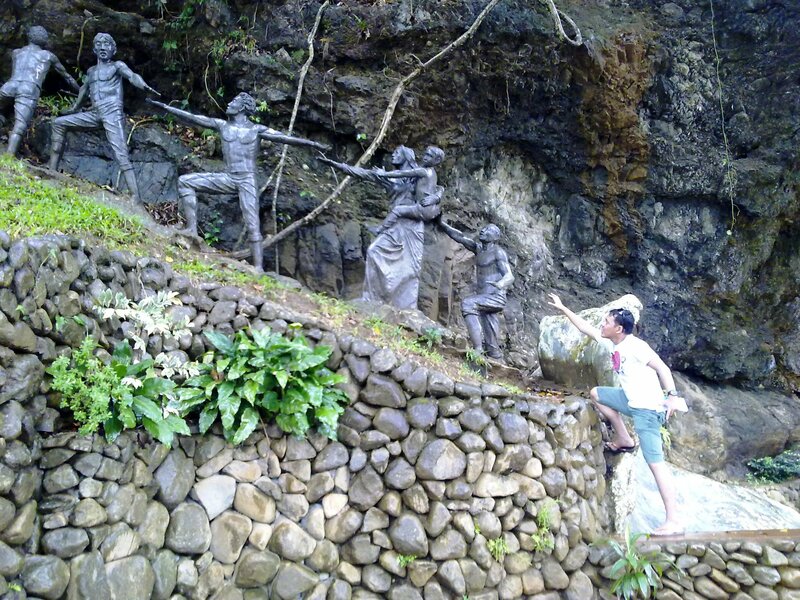 the memorial was located just below the main stairs leading to Ermita Hill. 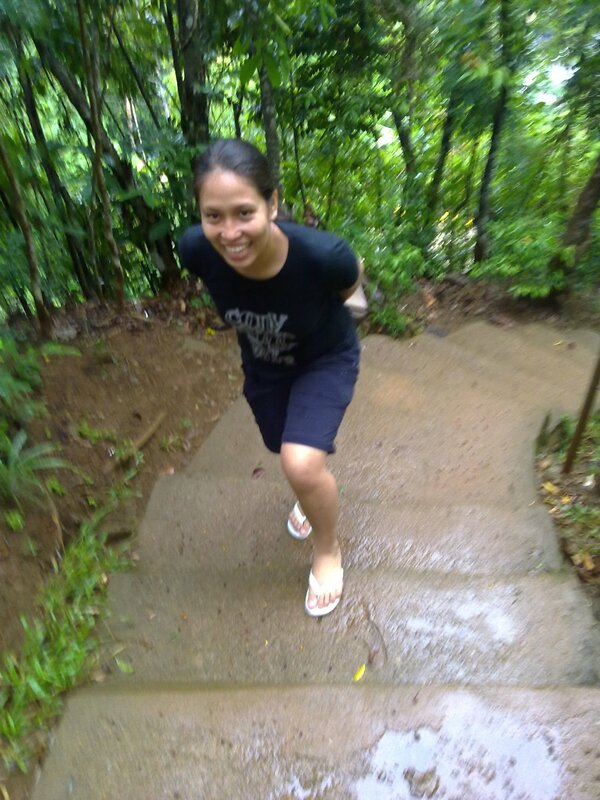 after a few photo ops and story telling w/ manong trike driver, we decided to start climbing the few hundred steps towards Ermita Hill. 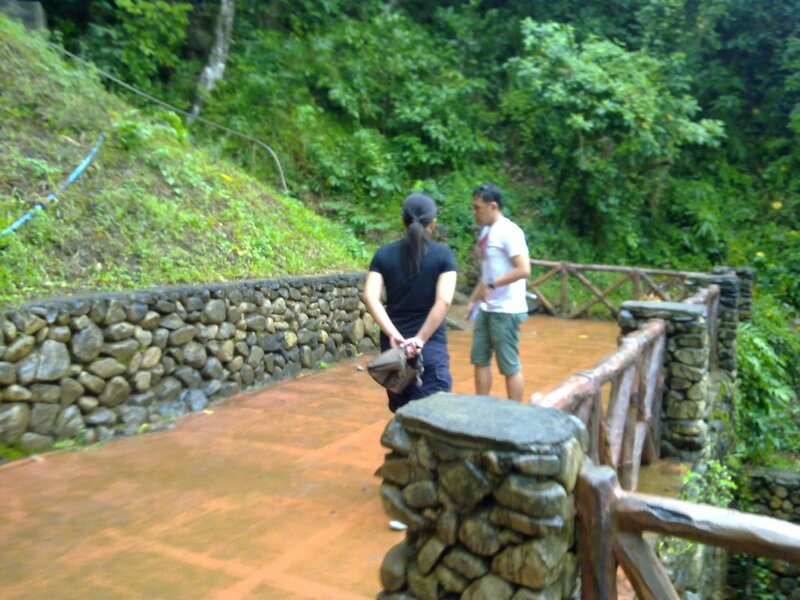 serious discussion w/ rovi...ano kaya namgyari nung mg tsunami no?? 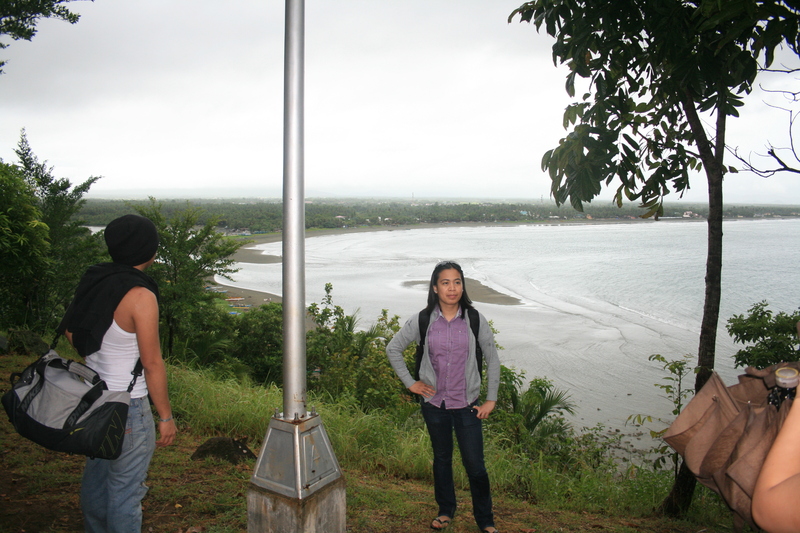 ‘up there’ in Ermita Hill one can see a commanding and unobstructed view of Baler Bay and the mighty Pacific Ocean. Just see the photos below. There wasn’t much to be seen on top of the hill as this was developed as a park and a viewing deck. Besides the Chapel, a big cross and a well maintained landscape, Ermita Hill is all about the grandeur of Baler Bay and the Pacific Ocean. 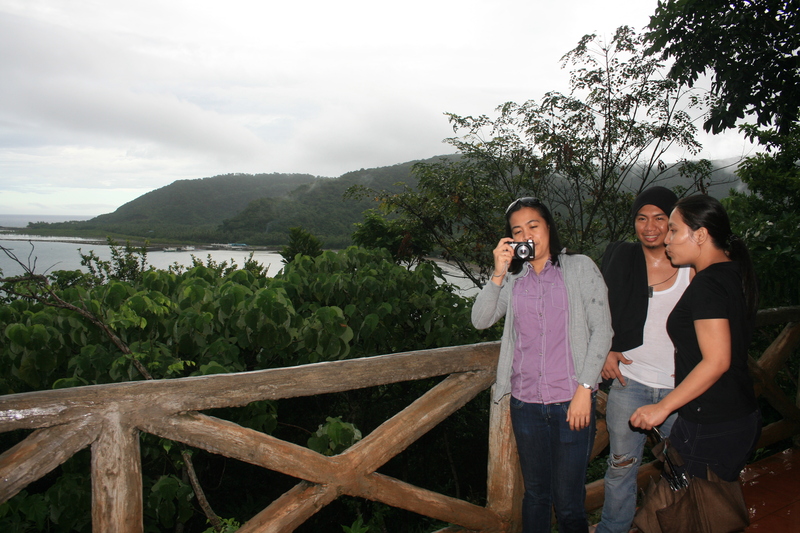 We spent a considerable amount of time in Ermita Hill as we tried to savor its majestic view. the place spelled calmness all over so we grabbed that chance to rest for a while and just feel the uninterrupted silence.